It shouldn’t come as a surprise, even though our local Stampeders weren’t able to pull out a win last weekend, that we’re all pretty excited for the Grey Cup around here. Call us football fans or food fans or… both! Whether you’re hosting your friends or heading to a party, you wouldn’t want to fumble on the opening kickoff and show up without food, right? And with everyone else rushing to the frozen snack aisle like a possessed linebacker… *ahem* we mean flocking to the grocery stores last minute to stand in long lines, we’d like to share some of the incredible (and tasty) things you can find right here in one stop. Ready? Huddle up, we’ll be your Grey Cup party quarterback. Whether your guests have the appetite of an offensive lineman or punter, who doesn’t like a meatball sub? With Spragg’s Meat Shop carrying some of the best ready-to-go meatballs around, this is an easy throw-’em-in-the-crockpot and slap-’em-in-a-bun (from Yum Bakery of course) meal for the game. Looking for something a little on the lighter side for a delicate wide receiver? Prawns with cocktail sauce is a huge crowd pleaser and Blu Seafood has some incredible treats from the sea. 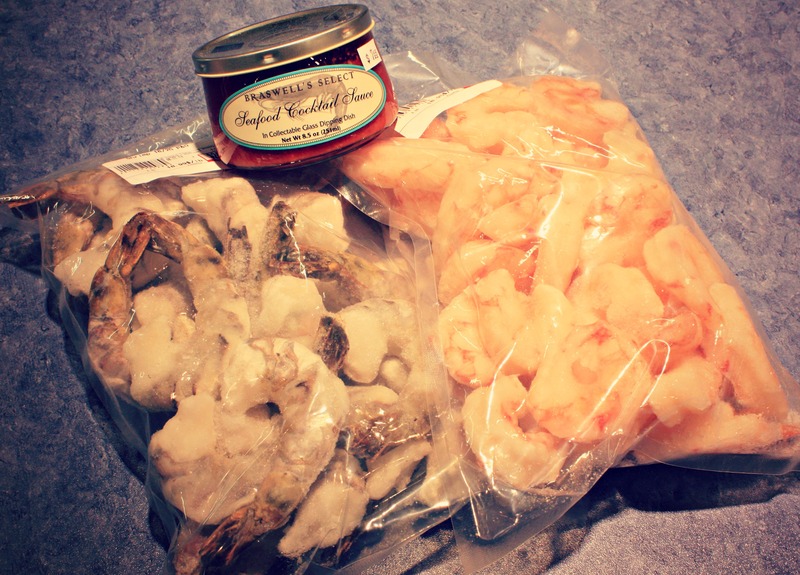 In addition to the best tasting prawns we’ve had (in our land-locked region), they also have some excellent crab cakes, salmon burgers, and seafood brochettes that are party-ready with very little prep. More of a meat-lover, kill-the-running-back, kind of defensive lineman? 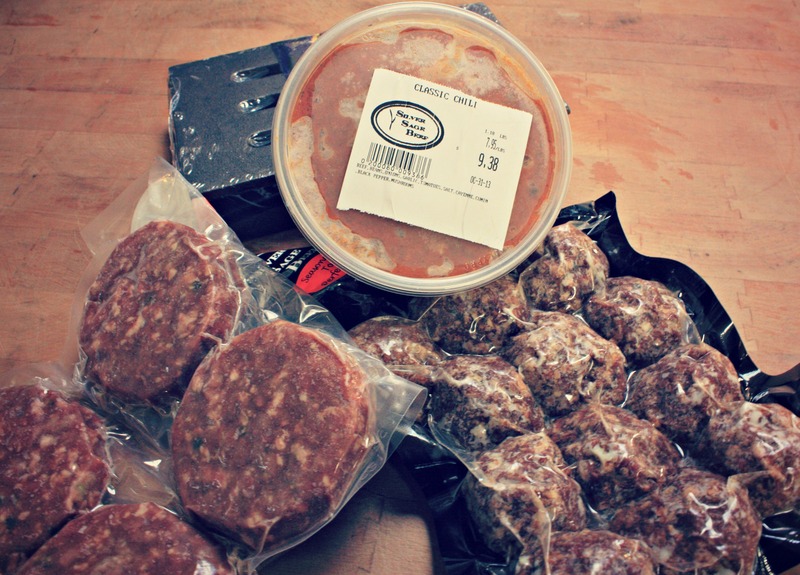 Silver Sage Beef prepares a killer burger (slider and full-sized), they do up a damn good chili, and if you prefer beef in your subs, they also have prepped meatballs. Not a bad selection. And what’s a Canadian party without a Caeser? 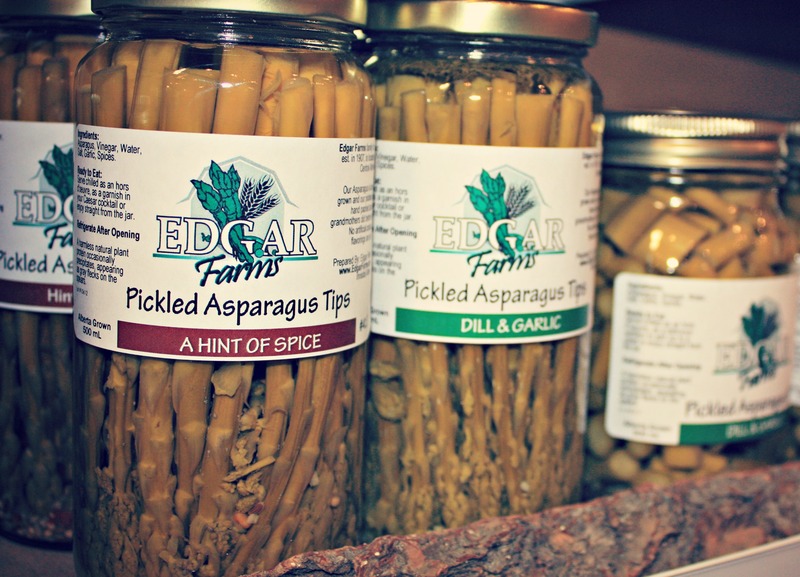 Edgar Farms (part of Innisfail Growers Co-operative) is famous for their asparagus; we wait, not-so-patiently, for it to arrive on the shelves every June and Elna Edgar makes some mean pickles. What’s better than a spear of pickled asparagus poking out of the signature drink Canadians love so much? Nothin’. 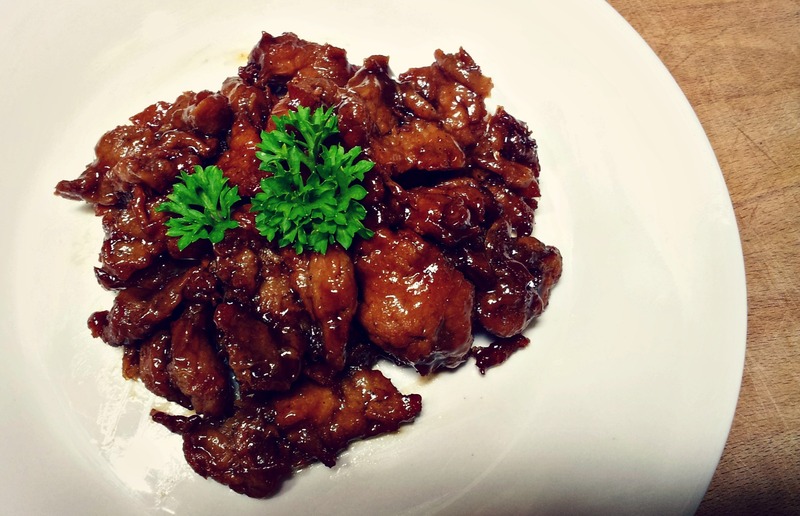 We know not everyone who has ever dawned shoulder pads and a helmet is a big ol’ meat lover, so why not offer them a lighter, equally delicious option? 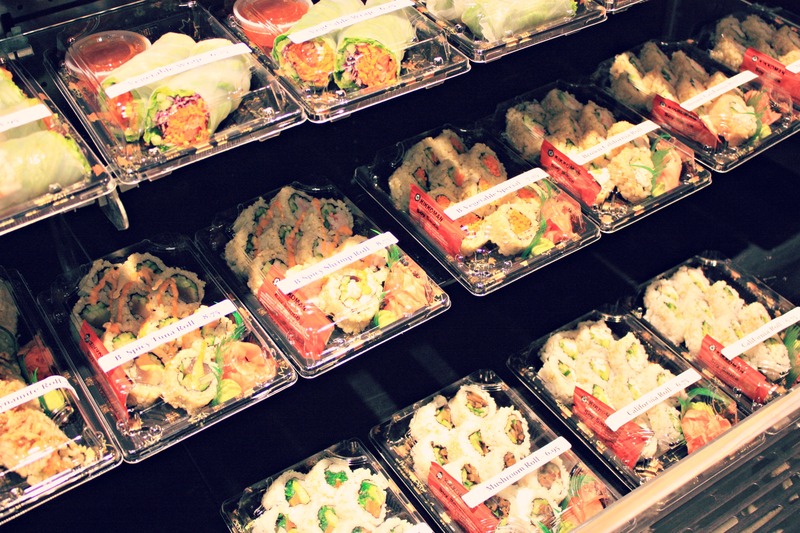 Kin Sushi has a great selection of ready-made combos and they take larger orders for platter. They also make a killer miso soup to warm everyone up. 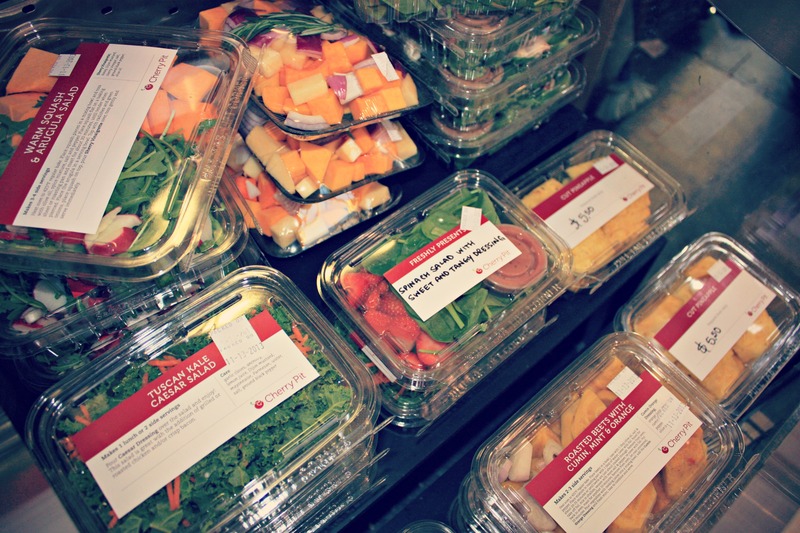 While we’re talking about healthy alternatives to your Grey Cup party, Cherry Pit has an impressive, and tasty, selection of ready-made salads, roasting vegetables, and made-to-order platters that will suit just about anyone’s dietary preferences or restrictions. You may be hosting friends and family in your home for the big game, but that doesn’t mean you can’t have some great bar-style snacks at their fingertips. 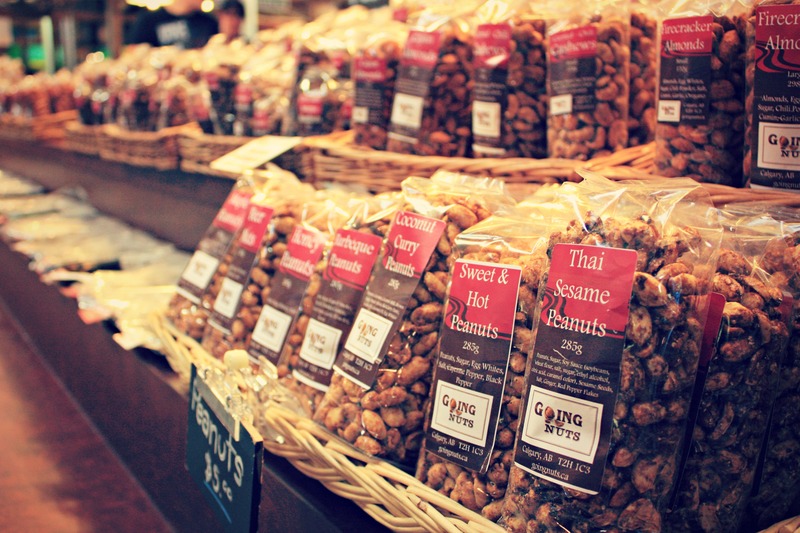 Going Nuts has a massive selection of nuts of all kinds and flavors that will keep them coming back for more. We’re not sure we’ve ever been to a party of any kind that doesn’t have at least one dip as part of the snack/appetizer buffet. 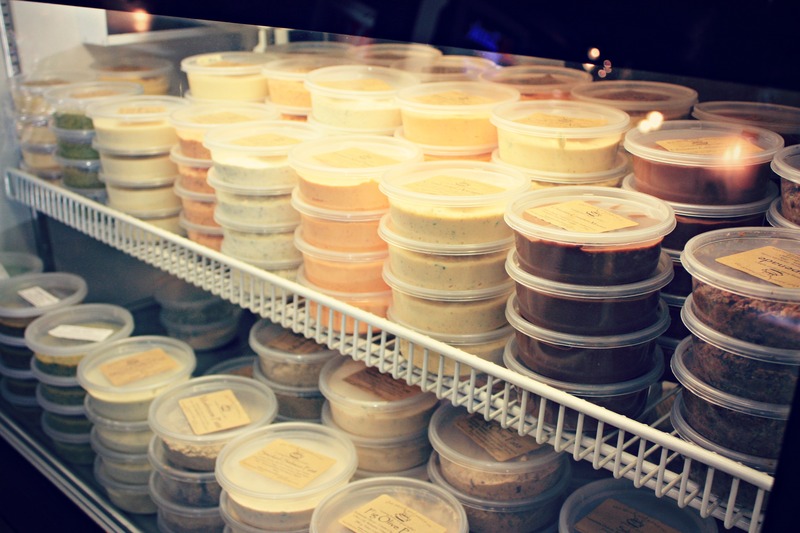 The Stock & Sauce Co. has a vast and varied selection of dips from pâté to pesto, tapenade to tasty dips, even a chocolate mousse that’s incredible on strawberries, these certainly won’t disappoint your guests. If you want a more traditional party spread, nachos or as mainstay as you can get when it comes to sporting events. 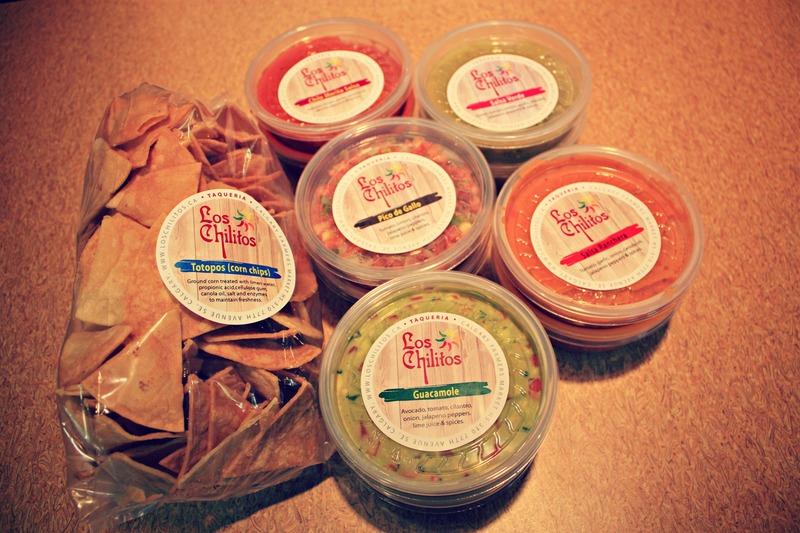 Los Chilitos Taqueria makes salsa and chips fresh daily and are quite addictive if we do say so ourselves. We’re on a dip roll, we’re not stopping now! 2 Greek Gals has you covered for bruschetta, antipasto, traditional Greek fare like melitzanosalata and tzatziki and some pretty martini-perfect olives for the women that are watching the game with the men. Martinis for the women, wings for the men? Not a bad trade. Wild Fire Wings has an extensive menu of hot-to-take-home or take-and-bake wings from the common buffalo to the not-so-common dill pickle or garlic & parm. 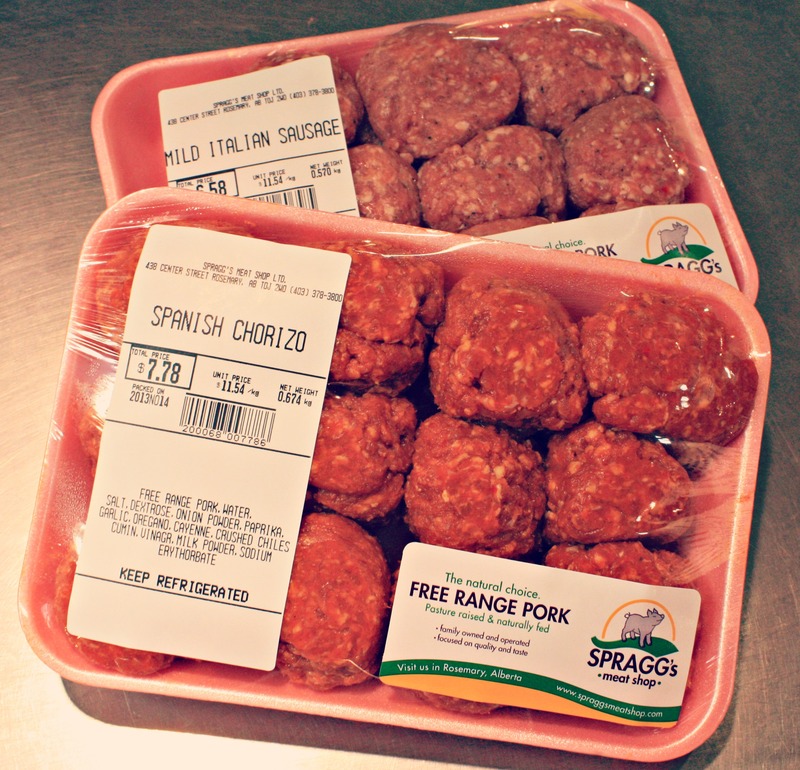 They use organic Sunworks Farms chicken and they have a buy 3lbs, get 1lb free deal. Say wha?! Touchdown! 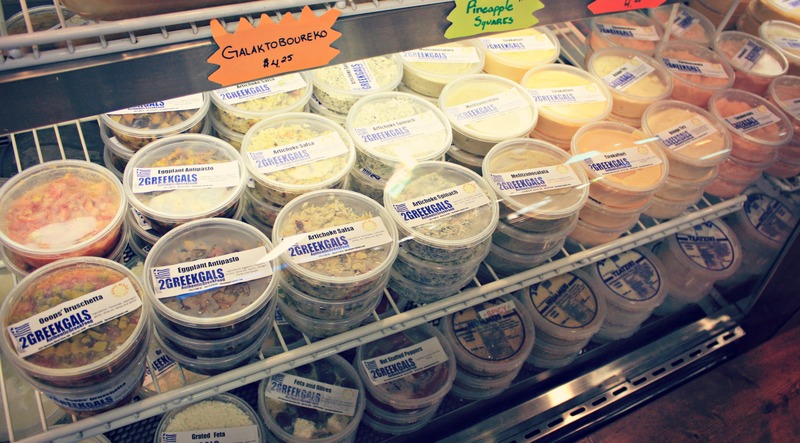 If you’re hosting a slightly more sophisticated crowd that prefers wine and cheese with their long bombs and 50 yards running plays, Fresh DELIcious offers a selection of import and local cheese and meat that could give any large deli a run for its money. And they often have Thursday deals, so don’t count them out of your Grey Cup shopping. And while we’re challenging you not to leave any market stone unturned… we think you should try to slip in these vegan spare ribs from Hearts Choices. Lighter than a full meat platter, and just as tasty, we think most people would be hard pressed to point out the vegan option in your party spread. So there you have it! A dozen quick and easy, one-stop shopping pick ups right here at the market and a drink garnish too! So whaddya say? 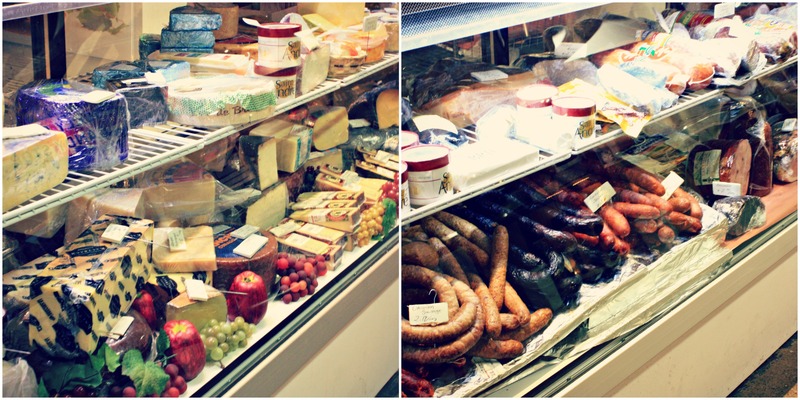 Skip the long grocery lines and visit our vendors for a Grey Cup party that’s unlike all the rest.